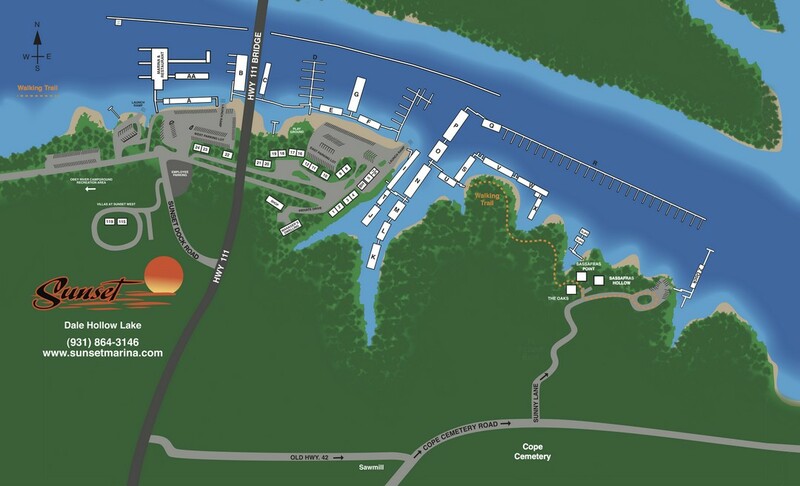 Houseboat slip rental is available on Dale Hollow Lake from Sunset Marina. 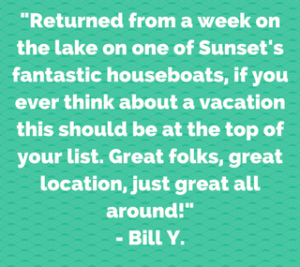 We look forward to exploring your marina rental needs with you and having you as a Sunset Marina customer. All slip rates are based upon Cash or Check payment in advance for one full year. (April 1-March 31). Fresh water, Cable TV and High Speed Internet are furnished. Electric is billed monthly. Any boat (watercraft of any type) docked in Sunset’s harbor overnight is required to register at the marina office and pay the appropriate dockage fee. This information applies to renting dockage for your watercraft you own and wish to dock. It is not applicable to watercraft you rent from Sunset Marina. A second or additional boat, runabout or PWC tied alongside or backside of a houseboat. Maximum boat permitted is 8′ 6″ wide and 24′ long and is without onboard sleeping or bathroom facilities. Second Permit 2A: This authorizes second boats to be tied in the water to your houseboat ONLY while you are aboard your Houseboat/Primary Vessel. Second Permit 2B: This authorizes second boats to be tied in the water to your houseboat for the boating season of April-October (7 Months) regardless of whether or not you are aboard your Houseboat/Primary Vessel. Second Permit 2C: This authorizes second boats to be tied in the water to your houseboat for the full year which is defined as April – March (12 Months) regardless of whether or not you are aboard your Houseboat/Primary Vessel.